Moving goods from point A to B? Sounds easy enough, but we all know that managing supply chain and logistics can get complicated. There’s warehousing, transportation, and distribution to consider. On top of the actual plans for shipping, there are also things like regulations, licenses, truckers, and taxes to worry about. Did we mention unexpected shipping costs? Outsourcing to a third-party logistics (3PL) provider to take care of these logistics issues lets you get back to your business. Choosing a 3PL partner is a serious decision. You want someone you can rely on to deliver your goods on time and in good condition—and to uphold the standards of your own company. There seem to be a lot of options out there, but before you start throwing darts at the wall, consider these factors when vetting your next logistics partner. Many companies use several 3PL companies at any given time to service their specific logistics needs, not just one company for everything. You’ll find that most logistics service providers have a specialty in a certain area of logistics, a specific region, or transport mode. Before choosing a provider, identify the specifics of what you need. Understand your company’s strengths and weaknesses and find a logistics partner who can complement them. Will you will need services along the East Coast or are you focusing on the Pacific Northwest? Maybe you’re looking for someone who can ship internationally? Do you need reefers or does your cargo require refrigeration? What about quick turnaround projects to remote warehouse locations? Once you’ve determined your specific needs, you will be able to find the 3PL who shines in those areas. Without question, you need a reliable provider. Every load that arrives late or with the wrong kind of truck, adds hours of delay and extra work. to your plate. While no one can control the weather, a logistics partner can anticipate it and do their best to plan for any scenario. With good service, comes good freight management. The 3PL that manages freight well is always thinking ahead. They are aware of what can drive up demand and costs, and are prepared to respond when things don’t go as planned. 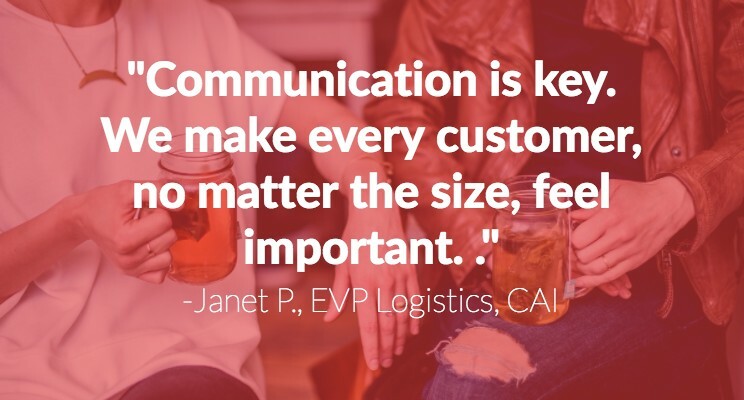 The best 3PL companies will anticipate needs and communicate openly and often. Look for a partner who can problem solve alongside you, no matter the obstacle, and provide accurate information about what’s going on with your delivery. No one wants surprises. Instead of spending time putting out fires when a truck doesn’t arrive as promised, you’ve got a partner you can rely on to get the job done right the first time. Utilizing the right technology can help optimize service and drive down costs. Technology systems can automate processes, provide access to a database of carriers, and recognize problems in the supply chain. 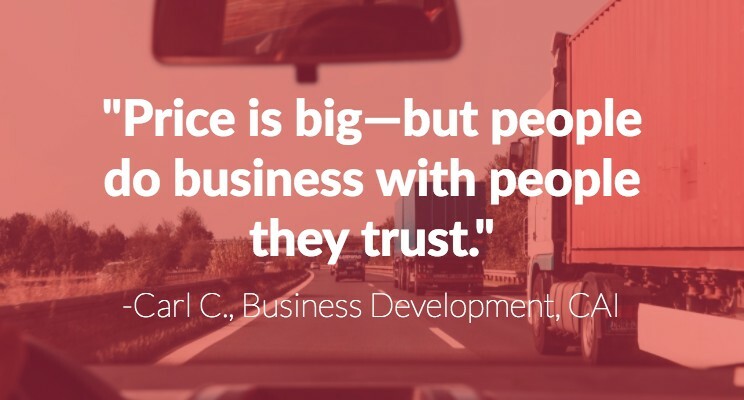 If you’re doing your due diligence to find the right logistics partner, look for a logistics partner who has the ability to scale with your business. Can they respond to your changing needs? As your operations change and grow, can your 3PL scale with you in the long run? Of course, price is a huge consideration when choosing a logistics partner. But keep in mind, the lowest price isn’t always the best option. If you’re looking only at the price column on an RFP, you could be missing out on some other vital information to vet your 3PL companies. Logistics services that can always beat out the cost of their competitors are often less reliable, offer less visibility, and usually fall short on customer service. Those are three big factors you don’t want to skimp on when it comes to keeping your business running smoothly. Look for any red flags that may indicate loss of quality or service due to cutting corners on price. While price is important, try looking at the overall value a logistics partner can add to your work. When we ask our customers why they choose to work with us, the response is always the same: the relationships and service we provide. Relationships don’t come quickly or easily. They develop over time with continued proof of above and beyond service to the customer. 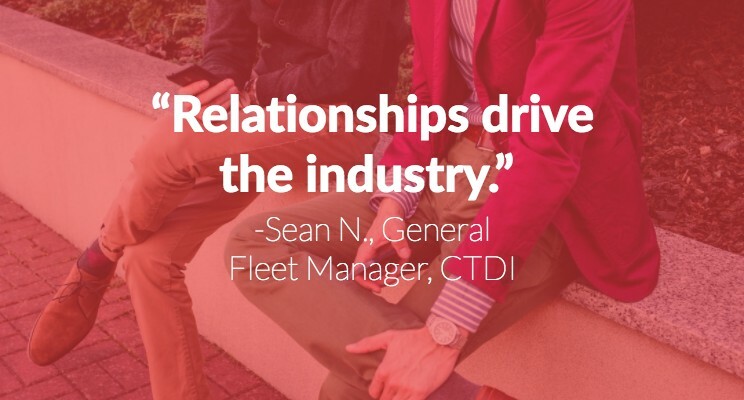 Once you’ve built a good relationship with a logistics provider, you know their strengths and they know yours. You should be able to call upon them as soon as a project comes across your desk, rather than spending time sorting through other options or sending it out for spot bidding. When a 3PL understands your business, you can count on them for everything from quick turnaround needs to critical projects. Relationships also help provide great references. If you have a special project that needs the help of a company you haven’t worked with before, you can look to your current 3PL relationships to provide a good referral. A referral, from a business colleague or 3PL, can direct you to the right partner for the job. There are plenty of logistics providers out there who can get the job done. 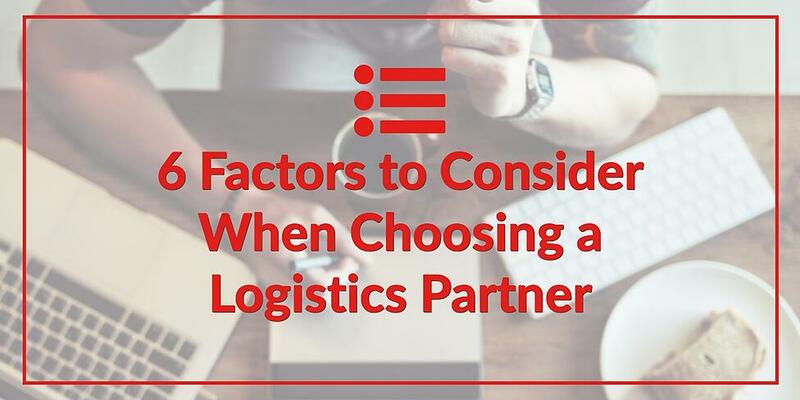 When you’re choosing a logistics partner, however, you’re looking for more than that. You want the company that can get the job done on time, maintain compliance, provide unparalleled service, add value, and save you money.